Whether you are busy dealing with a demanding job, raising kids, or coping with illness, simply finding the time to get organized can be a challenge. The 8-Minute Organizer to the rescue! 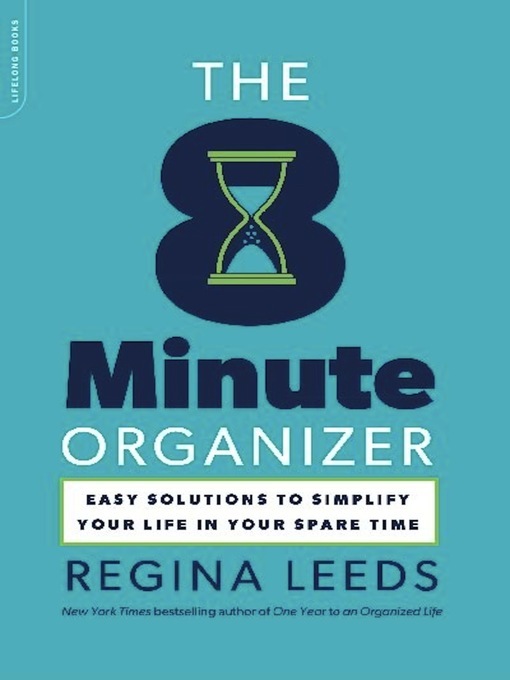 Regina Leeds shows how anyone can organize their home with just a few minutes each day. She has tailored her magic formula (eliminate, categorize, organize) so that readers can work in short, effective increments and complete small projects that add up to big progress. The book includes hundreds of systems and tricks--from rapid closet rehab to tackling junk drawers, clutter-busting a room to setting up a mail system. Leeds also offers quick but important daily routines (making the bed), periodic tasks (checking the smoke detector), and fun projects (creating a dream board) to keep up the momentum.